The motto of BioClin Therapeutics is “Developing protein therapeutics for high unmet medical needs”. And this has a deep meaning for achondroplasia. 2006. 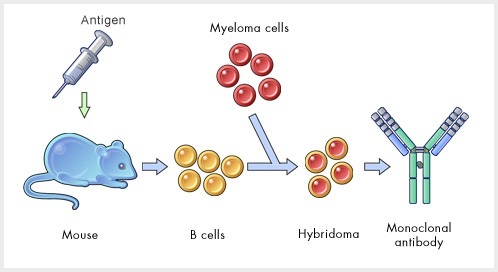 The inhibitory anti-FGFR3 antibody, PRO-001, is cytotoxic to t(4;14) multiple myeloma cells. Trudel S,et al., Blood 2006 May 15;107(10):4039-46. 2009. FGFR3-targeted mAb therapy for bladder cancer and multiple myeloma, Hadari Y, Schlessinger J. J Clin Invest. 2009 May;119(5):1077-9. 2015. Redesigning a Monospecific Anti-FGFR3 Antibody to Add Selectivity for FGFR2 and Expand Anti-tumor Activity, Carter PJ et al, Mol Cancer Ther. 2015 Aug 12. pii: molcanther.1050.2014. An antibody is a protein naturally produced by our body that binds to other proteins (usually from pathogens), called a antigens, on specific amino acid sequences. Our body produces many antibodies specific for different antigens, which circulate throughout the body until they find and attach to their antigen. Once attached, their natural function will be to recruit other parts of the immune system to destroy the cells which show the antigen on their surface. Researchers can design antibodies that specifically target a certain antigen, such as one found on cancer cells to either destroy those cells using the immune system or another molecule that’s toxic for those cells (targeting only them, this way) or, in other cases, bind to certain receptors in cells, activating them or inhibiting them. They can then make many copies of that antibody in the lab from the same source cells. These are known as monoclonal antibodies (mAbs), and they have many uses in research, treatment and diagnosis. Monoclonal antibodies are the basis of a third of all biotech products in clinical development. For their discovery Milstein and Köhler won the 1984 Nobel Prize in Physiology or Medicine. What is connection between mutant FGFR3 in achondroplasia and antibodies? FGFR3 mutation causes a gain-of-function of this protein in a variety of cancers, as in achondroplasia, where this mutation increases the receptor signaling and enhances negative regulation of growth plate chondrocyte proliferation (stalling their development). Most, if not all, potential solutions to treat achondroplasia until now have been directed to attack the mutant FGFR3 in chondrocytes. 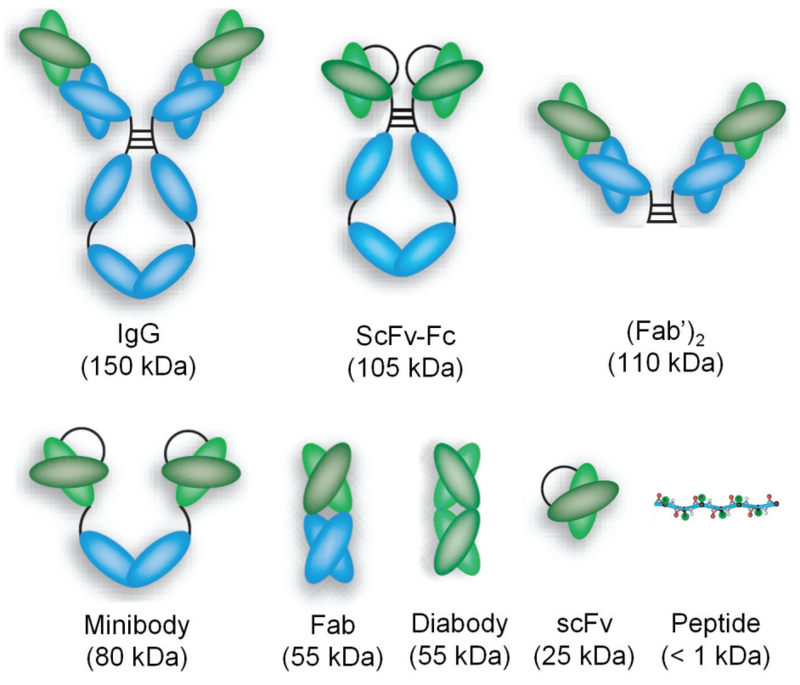 But antibodies are typically large proteins, with an approximate size of 150kDa and only very small molecules reach the growth plate, under 50Kda. I couldn’t find B-701 size description. For specificity, B-701 is described has highly specific for the FGFR3 receptor and does not cross-react with the other fibroblast growth factor receptors (FGFR1 and FGFR4). It is being used to inhibit signaling through this pathway in bladder cancers that express wild-type or mutated FGFR3 and has potential for application in achondroplasia. Toxicity is being assessed through animal testing. During preclinical phase the pharmacodynamics (what the drug does to the body) (PD) and pharmacokinetics (what the body does to the drug) (PK) of the drug are also assessed. For BioClin, “the single point activating mutation in the FGFR3 protein in achondroplasia may be an elegant and rational target for B-701, given its precise targeting of FGFR3″. B-701 is in preclinical testing for achondroplasia for which FGFR3 antagonism may be beneficial. BioClin has completed a 6-month dosing study in juvenile monkeys and they are conducting further studies to advance this program. More information about B-701 can be obtained through the results from the B-701 oncology clinical trial, now entering phase 2.